Another two inches of snow fell this afternoon, followed by icy sleet and rain. 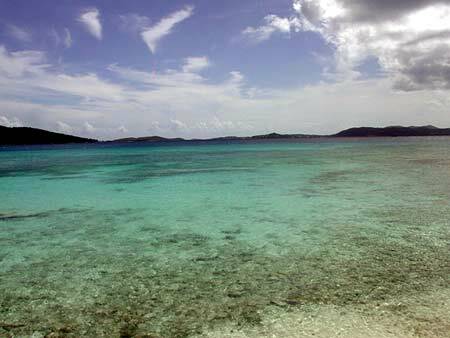 What further motivation is needed to take a virtual Caribbean vacation to Turtle Journal’s research home in the U.S.Virgin Islands? 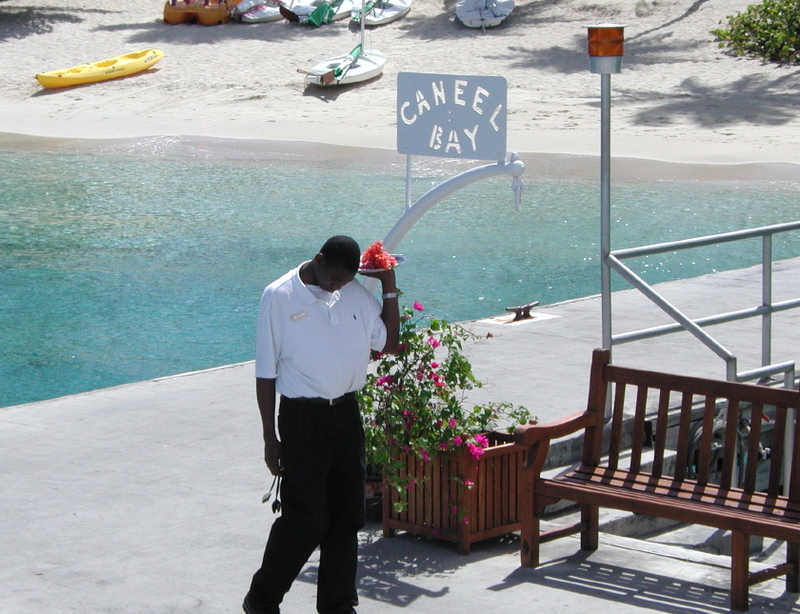 From the airport on St. Thomas, we taxi to the docks of Charlotte Amalie to catch the private ferry to Caneel Bay on the island of St. John. As the boat arrives at Caneel Bay, we are greeted by staff with iced towels. As soon as we drop our bags in the room, we race across the beach to the exquisite Caribbean waters of Caneel Bay. Scott Beach sports healthy turtle grass beds that attract green sea turtles. Hawksbill sea turtles forage on the reefs near the point between Scott Beach and Turtle Bay. 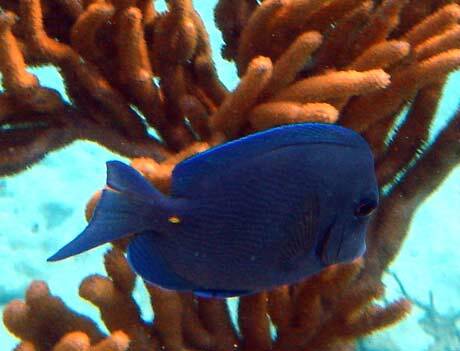 Rays exploit the sandy bottom of Scott Beach searching for conchs. While the Turtle Journal team normally refrains from editorial comment, we can’t miss this opportunity to bid farewell and good riddance to 2009, designated by our brilliant team of symbologists as the Year of the Mammal. 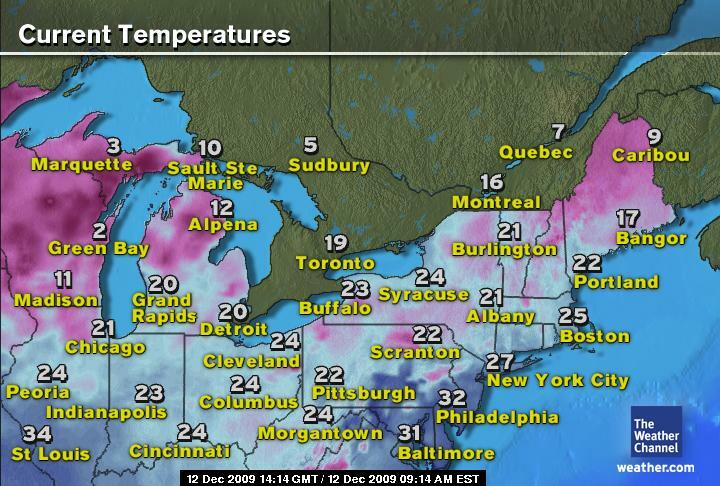 So long and good riddance, 2009! At the same time, we welcome with open arms the New Year 2010, which our research team has coined the Year of the Reptile. You can make neither an omelet nor a great year without breaking a few eggs! Happy New Year and Welcome 2010!! We wish you happiness and success in 2010, Year of the Reptile. Turtles rule! Don Lewis, “The Turtle Guy,” talks about turtles, large and small, and efforts to save endangered sea turtles. Mindy Todd of the Cape and the Island National Public Radio station hosts a live, daily program called the Point. Join Mindy, weekdays at 9:30am and a repeat broadcast at 7:30pm, for lively and informative discussion on critical issues for Cape Cod & the Islands. She welcomes your phone calls at 866-999-4626 and e-mails at: thepoint@wgbh.org. You can listen to the Point live and on-line by clicking here. 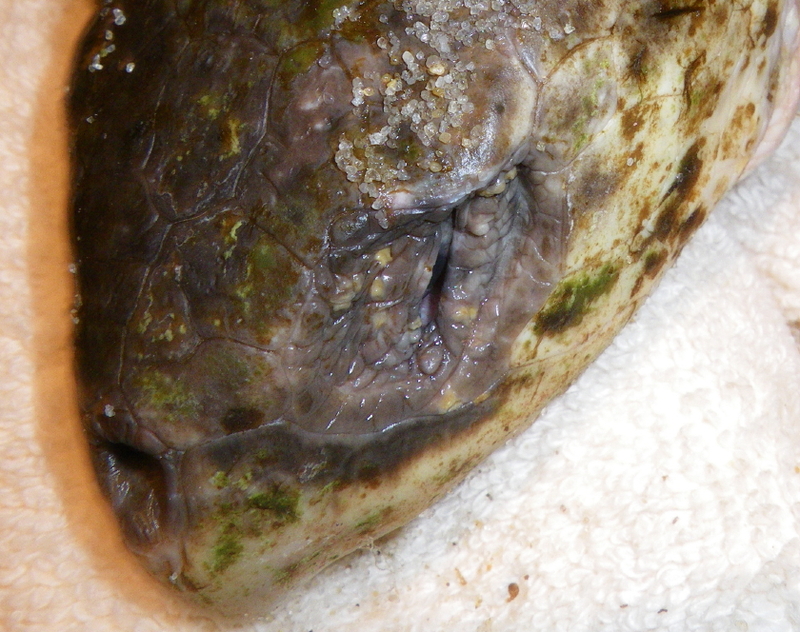 On Christmas Eve, Mindy will host Don Lewis of Turtle Journal to talk turtles. The conversation is sure to cover the sea turtle stranding season in which nearly 200 endangered turtles have washed ashore on Massachusetts beaches. Rumors abound that Don will be accompanied by four reptilian companions, representative hatchlings from each local turtle species that Turtle Journal has rescued this fall. Their nicknames (Painted, Snappy, Boxie and Notch) hint at their genetic origins. Don’t miss the Point on Thursday, December 24th, on FM 90.1, 91.1 or 94.3 … or listen on-line by clicking here at 9:30 am. The show will be rebroadcast at 7:30 pm on Christmas Eve. If you miss these broadcast opportunities, the program will be posted on the Point web page a couple of days after the original broadcast. In a stranding season filled with rare events, the Turtle Journal team recovered the first-ever endangered sea turtle from the Taunton River on Thursday morning. 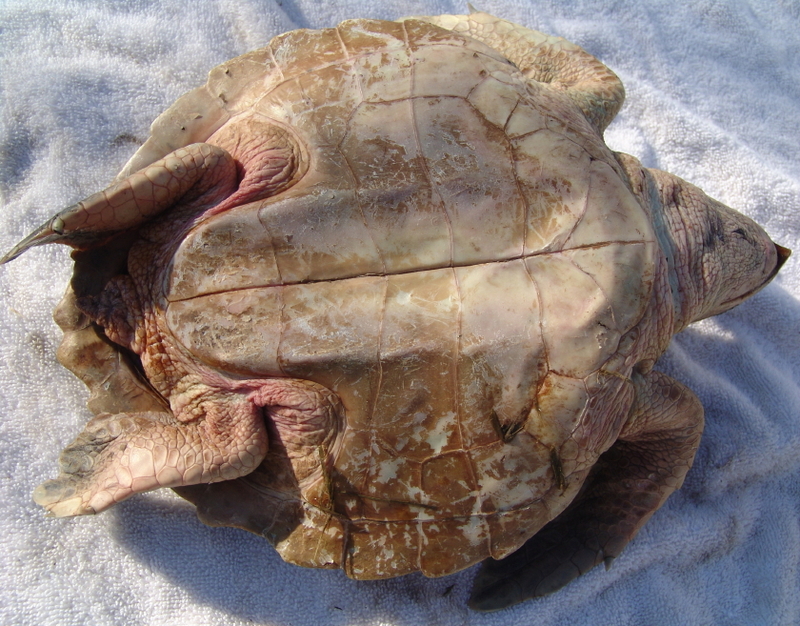 An outdoorsman had stumbled across the cold-stunned Kemp’s ridley in a quiet estuary off the Taunton River at the border of the towns of Dighton and Somerset. In the current frigid conditions, by the time we got to the site the turtle lay with an ice cap crowning the top of its carapace. Yes, the Taunton River is a long, long way from Cape Cod Bay from which nearly 200 endangered sea turtles have been recovered cold-stunned this November and December. 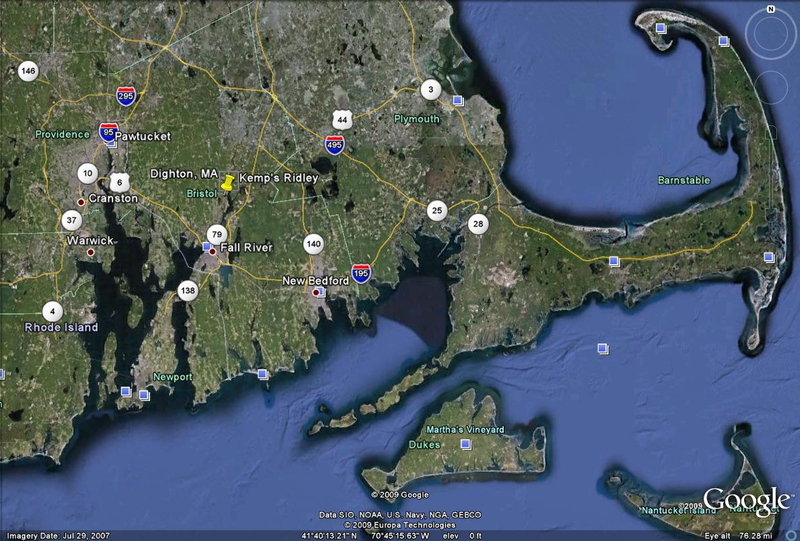 It’s also a good distance from Buzzards Bay where three Kemp’s ridley were found and Martha’s Vineyard that yielded two cold-stunned sea turtles this year. 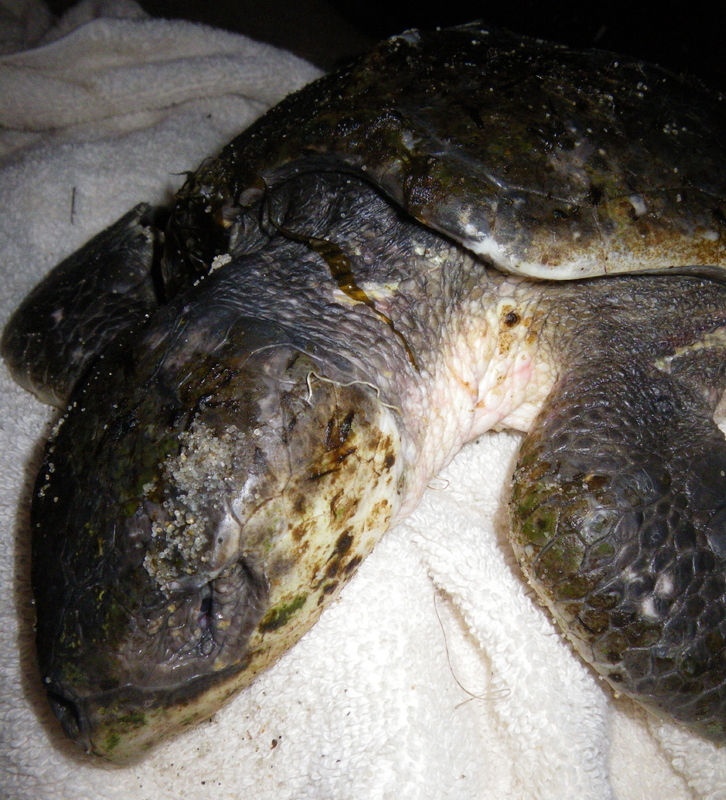 In fact, this Kemp’s ridley is the first cold-stunned sea turtle we have ever found in the Taunton River, although the Turtle Journal team did receive an unconfirmed report several years ago that a kayaking couple had encountered sea turtles in a Swansea cove in late summer. 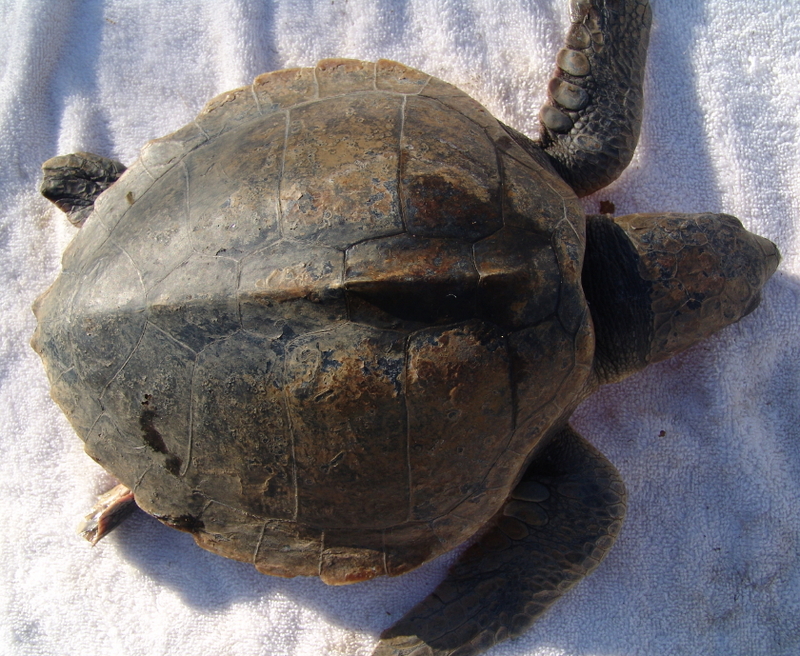 Coincidentally, the spot where this juvenile Kemp’s ridley was found is in close proximity to a rare nesting site for an isolated population of threatened diamondback terrapins in Freetown, a stone’s throw to the east. 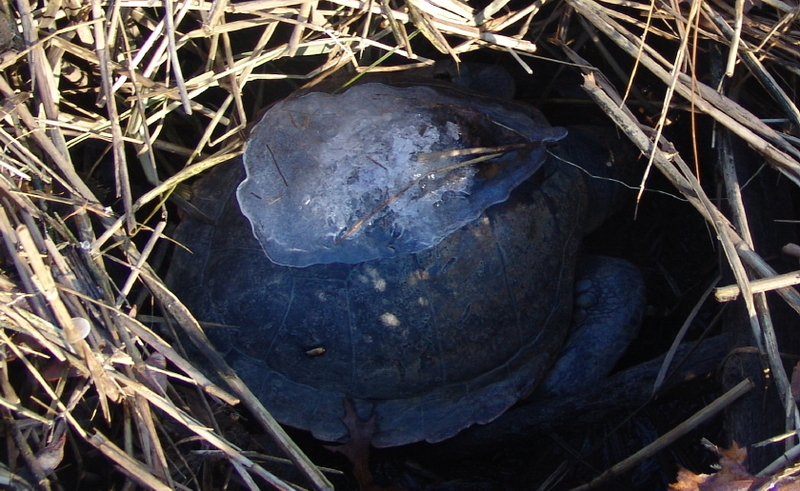 When we reached the turtle late Thursday morning, it sported an Arctic ice cap atop its carapace, as the ridley lay under a deep pile of marsh grass near the river’s edge. This specimen seemed in remarkly good condition … if only we could have reached it before conditions had turned so cold. The spot where the ridley came ashore proved an isolated location quite a distance through the woods from Route 138. 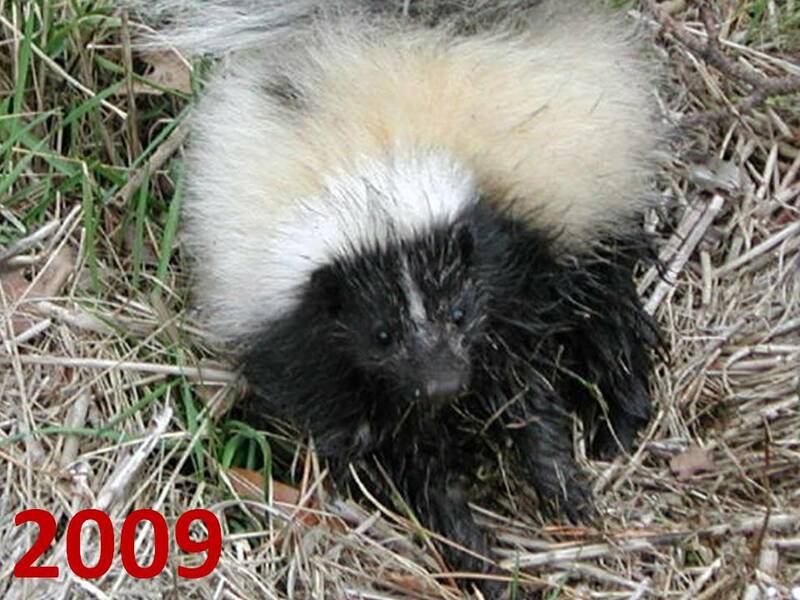 The movie clip above documents the trail to the site and the recovery of this extremely rare specimen. The Turtle Journal team brought the Kemp’s ridley to Mass Audubon’s Wellfleet Bay Wildlife Sanctuary in Wellfleet on Outer Cape Cod, where sea turtle rescues in Massachusetts are coordinated by its director, Bob Prescott. Winds continue to blow, temperatures continue to plunge, and tropical sea turtles continue to be expelled from the frigid waters of Cape Cod Bay. With numbers approaching 150 critically endangered turtles, beach patrols go out at each high tide in search for helpless animals that would quickly succumb to hypothermia without aggressive intervention. 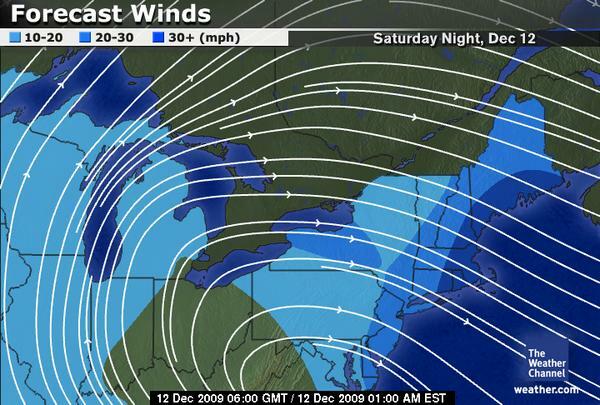 Friday night, as the Weather Channel charts below indicate, proved a gruesome night for tropical critters and human rescuers with temperatures on the Outermost Cape dipping into the low 20s, a powerful westerly gale raking the coastline and pounding breakers gouging beach and dunes. The real challenge Friday night was reaching the beach. “Landings” on Cape Cod are beach access points that usually involve a path through foredunes, creating a canyon effect. With a powerful on-shore blow, winds channel through this opening at hurricane force, scouring sand pebbles from the beach and spewing them horizontally through the “canyon.” The only successful access to the beach on Friday night demanded a backwards approach, which proved a bit tricky considering pitch darkness, unbalancing gusts and sifting sands. Knockdowns were neither unknown nor infrequent. 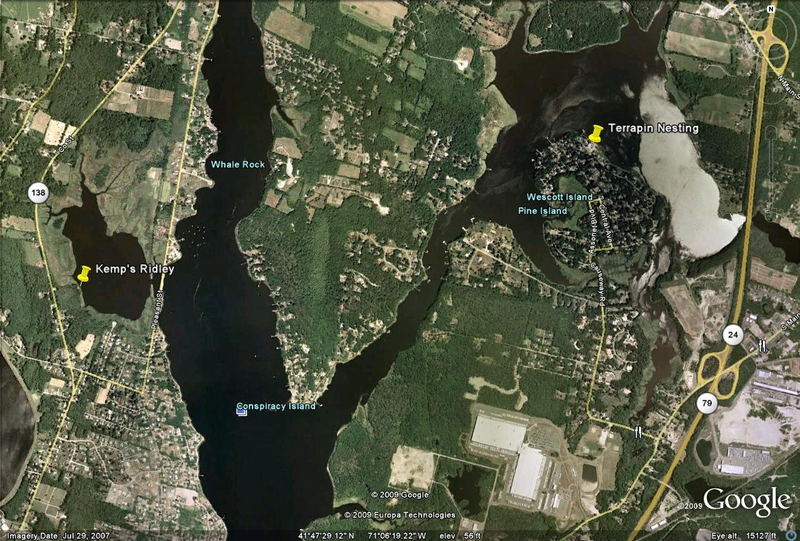 Still, turtles would be tossed ashore with the night high tide and rescuers were needed to patrol miles and miles of beaches from Truro to Brewster no matter the conditions. 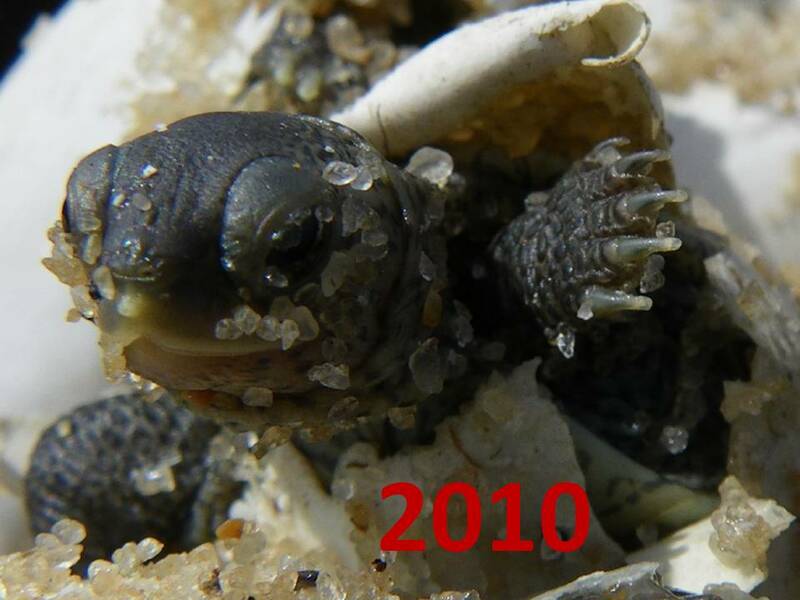 The video above documents the recovery of a medium sized juvenile Kemp’s ridley from the raging surf off Ryder Beach in South Truro. 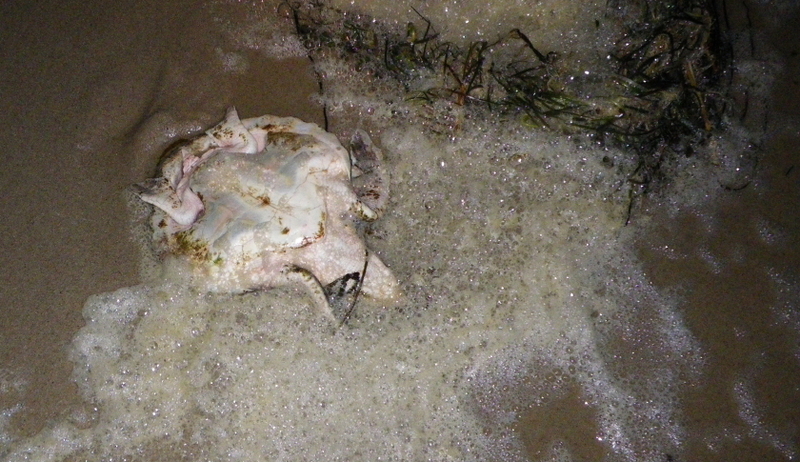 This Kemp’s ridley had taken in a lot of water while tumbling through the surf zone. 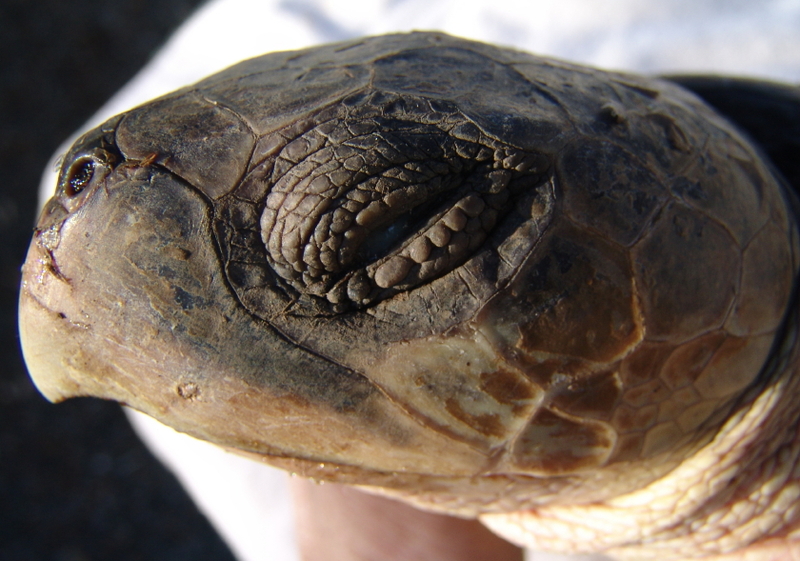 The hope we feel for each rescued animal is only encouraged by the number of “dead turtles” that “return to life” after 24 hours of resting in dry dock at the Wellfleet Bay Wildlife Sanctuary. Several Kemp’s marked down as DOA on Thursday snapped back to life on Friday. Turtles are wonderfully resilient animals, and cold-stunned tropical sea turtles need to be resilient when trapped in near Arctic conditions of wintry Cape Cod Bay. For critically endangered turtles like the Kemp’s ridley, every effort we make to save these juveniles pays enormous dividends toward the survival of the species; saving the species, one turtle at a time. 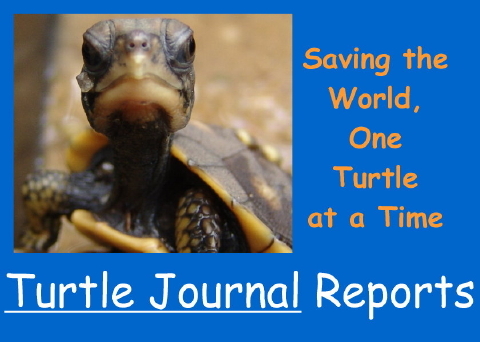 You are currently browsing the Turtle Journal blog archives for December, 2009.